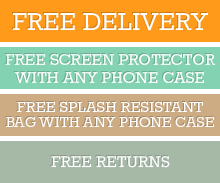 The highest quality HTC One M9 Screen Protector is developed to keep your screen scratch - free. Preferably do this in an area such as a shower with hot running water to reduce the dust in the room. Clean the HTC One M9 screen surface with a small cloth. The next step is to expose 1/3 of the HTC One M9 screen without touching the adhesive side. Align the exposed section with the edges of screen and make sure the screen protector has been placing straight. Click the button below to add the Screen Protector HTC One M9 - Taiwanese Material to your wish list.